The Unrepresented Nations and Peoples Organization (UNPO) is proud to launch its report of the Election Observation Mission to the Dohuk region of Iraq on the occasion of the Iraqi parliamentary and the Governorate Council Elections for the Kurdistan Region on 30 April 2014. 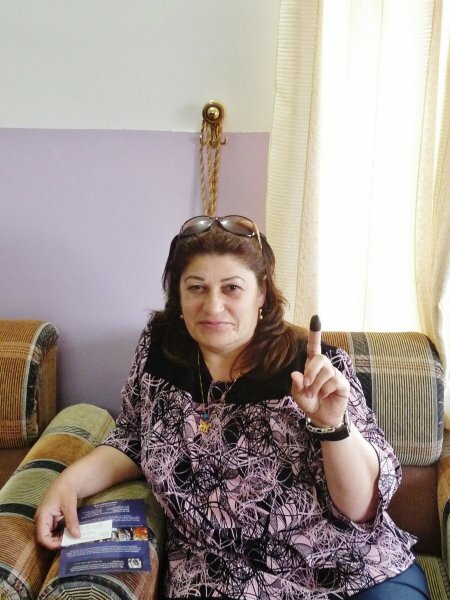 On 30 April 2014, Iraqi people went to polls to elect new members to the Council of Representatives and three Governorate Councils in Iraqi Kurdistan. The joint UNPO-ACE Election Observation Mission (EOM) was deployed in the city of Dohuk, the capital of the Dohuk Governorate, located in the autonomous region of Iraqi Kurdistan in northern Iraq and carried out 30 different observations in polling stations across 18 different polling centers. UNPO and ACE conducted a joint EOM in 2009 to the Nineveh Plain, focusing on the region’s ethnic and religious components and their participation in the electoral process. The current EOM was a follow up to this previous collaboration, considering the critical observations that had been made and the alarming reports that were received from Assyrian communities over the past years. 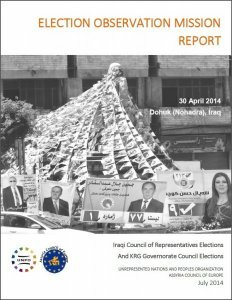 This report provides an overview of the election observations, and lists both positive and critical observations to the Independent High Electoral Commission, the Kurdistan Regional Government and the Government of Iraq. In order to view the full report on ISSUU, please click here. You can download the report in PDF format, by clicking here.